Harting has added a differential current transformer capable of carrying out current measurements at up to 10 A to its family of current sensors for industrial applications. Specifically designed for measurements of ambient conditions in the wind energy sector, the single-piece core transformer combines high functional reliability with extremely high mechanical stability for the most demanding applications. The differential current transformer permits the measurement of the current deviation in supply and return conductors or the monitoring of earth leakage currents in single or multi-phase power cables. The compact current transformer is designed for a maximum cable diameter of 110 mm, and is suitable for the detection of primary nominal currents of up to 10 A with a conversion ratio of 1:600. It can be used for measurements over the frequency range from 5 to 400Hz. The housing design is optimised for high holding forces of up to 250 kg, and features an IP65 degree of protection according to the IEC 60 529 standard. 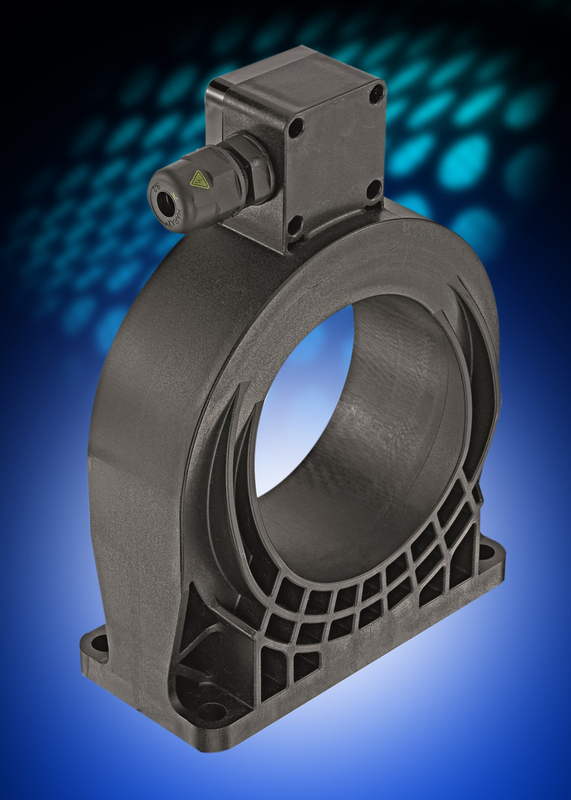 It employs Harting’s proven HARAX insulation displacement connection technology to provide simple, quick and tool-free assembly. The wide temperature range of -15°C to +55°C permits use in heat-sensitive applications.